Frome Community Cars was set up by Frome Town Council with support from Frome Medical Practice in December 2016. The scheme aims to provide affordable transport for those unable to access the things they need to due to physical disability, lack of resources or lack of services. By November 2017 the scheme conducted more than 180 journeys, had a membership base of 300 and 20 committed drivers (but always needs more!). 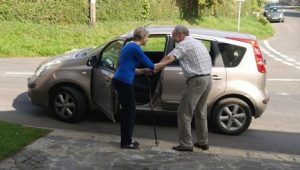 Email: somersetindependentliving@redcross.org.uk Home and Transport Support offers transport to/from hospital or doctors’ appointments and other trips near or far, they can support with shopping or companionship on a short term basis. All drivers are volunteers who use their own cars. Slinky Service 01749–880482 – Mendip Community Transport. This service provides transport for Senior citizens, those with disabilities & socially excluded persons (i.e. no access to local bus routes). It is a first come, first served service so passengers are advised to give as much notice as possible, they can book up to 14 days in advance (15 days for medical appointment). Bus Passes are accepted. Hospital Car Service – 01749-880613 Mendip Community Transport. This service provides transport to hospitals outside the Mendip Area for patients who are unable to use conventional public transport. Cost 60p per mile with a reduction if a Bus Pass is held. 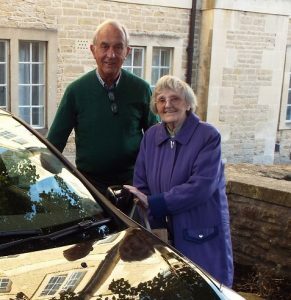 The Blue Badge Scheme http://www.somerset.gov.uk Email: adults@somerset.gov.uk Tel: 0845-345-9133 Provides national parking concessions for people with severe walking difficulties or who are who are severely sight impaired who travel as drivers or passengers. People who have a blue badge can park close to their destination in on-street parking and car parks. Call Somerset County Council on 0845 345 9133 or apply online via the website. Moped Loan Scheme – Somerset Rural Youth Project http://www.sryp.org.uk Tel: 01278 722100 Email: mopeds@sryp.org.uk Provides an affordable and economical transport solution to young people aged 16 to 25 with no access to public transport. This site also provides information on Disabled Access, Wheelchair Walks, Easy Access, Access for All, Mobility, Walks on Wheels, Miles without Stiles, Buggy Walks, taxi companies with disabled friendly taxis, along with wheelchair and scooter hire info. Concessionary Bus Pass – Transporting Somerset Tel: 0845 345 9155 www.somerset.gov.uk Email: transport@somerset.gov.uk English National Concessionary Travel Scheme Passes are available for residents of Somerset who are of pensionable age or eligible on the grounds of disability. The pass allows you to travel free on buses in every area of England subject to certain time restrictions. Disabled Persons Railcard Email:disability@atoc.org Tel: 0845 605 0525 http://www.disabledpersons-railcard.co.uk. You may be able to apply for a disabled person’s rail card, if you are in receipt of certain benefits, are visually impaired or registered as deaf, please see website for details, the card will allow you a third off rail travel and costs £20.00 a year. National Express http://www.nationalexpress.com Tel: 08717-818178. Senior Coach Card, Disabled Coach Card and Young Persons Coach Card give a third off standard fares. Coach Card costs £12 a year.